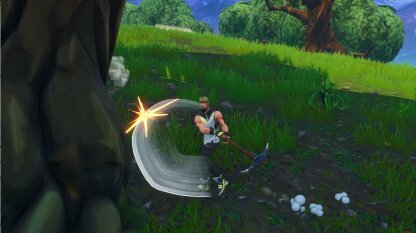 Increase your chances to win every game in Fornite Battle Royale's Solo, Duo, & Squad Game Modes. 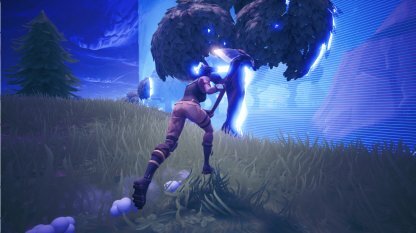 Tips & tricks for survival, recommended controls on consoles like ps4 & mobile, & more to get the Victory Royale in a match. Staying in the same spot for too long will eventually end up risking your survival. Keep an eye for any suspicious movement, and move as often as you can. Camping is a viable strategy only when enemies are coming at you. Keep your eyes open when navigating around the battlefield. Open doors, crumbling trees and suspicious buildings means someone was close by. Listening for enemy movement is also a viable option. Balance your time. Loot and explore, but make sure you have enough time to get inside the circle. 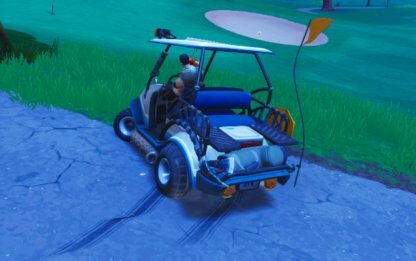 Only use vehicles when you're sure you can't enter the circle before the storm hits. Using a vehicle can notify enemies of your position and make you an easy target. Before jumping into the match, here are some things to remember to help you play better. 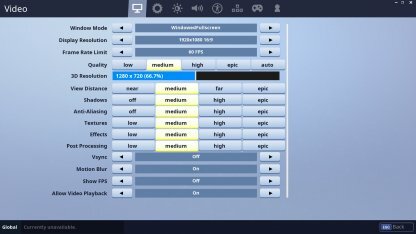 Adjusting your settings will help the game run smoother without any problems. 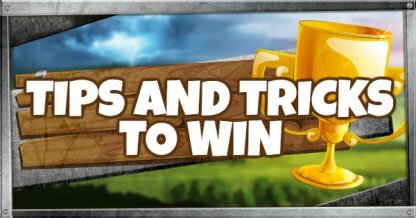 This can greatly help you since you will need to have quick reflexes to outlast the competition! It is recommended to change your controls to a more comfortable scheme so you can respond to situations quickly during the match. 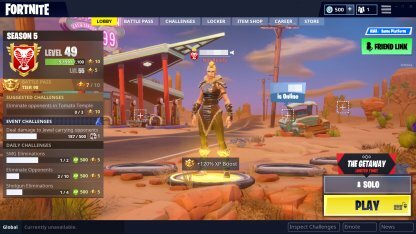 Click the link below to see the recommended keybinds for the PC. Choose Your Control Scheme for Consoles. 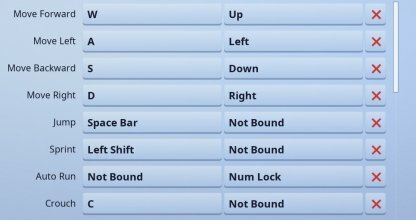 Consoles have 4 different control schemes: Combat Pro, Builder Pro, Quick Builder, and Old School. Change your control scheme to one that suits your play style! Each area has its advantage and disadvantage. 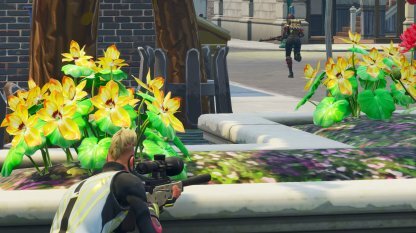 Remember that areas with a lot of loot also attract a lot of enemies. Land on areas where the Party Bus doesn't directly pass through. 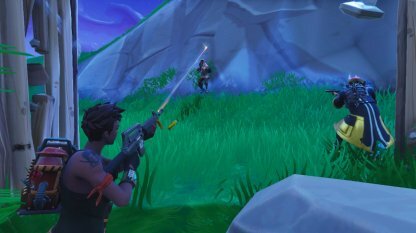 Areas with high ground and lots of cover are ideal for sudden combat. Keep your eyes open for treasure chests or ammo and guns lying on the ground. Loot for crafting materials as much as you can. Keep Health and Shield items at hand. Use them after every engagement or when needed. Just make sure you're behind cover before using them or you might be caught in the open. What good is a gun without ammo? Loot all the ammo you can find. Guns come with limited ammo so make sure you're prepared for a fight. 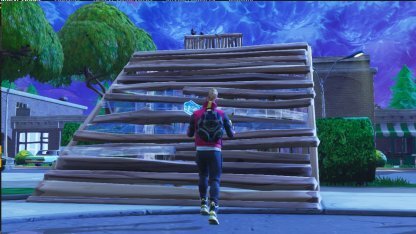 A well-placed wall could mean the difference between life and death, especially as the number of players dwindle. Gathering at least 300 of each crafting material is recommended. Don't engage in fights that you are not sure you can win. If you're low on resources or weapons that don't work in the situation you're in, like having a sniper rifle for close combat, just back off. See two enemies fighting it out? Just let them fight until a winner emerges. This is a good time to ambush them as they still have not recovered from their fight. Getting the High Ground can easily turn a battle. Cliffs provide a wide view of the area. Look out for trees or buildings being knocked down or moving vehicles. It is also great for snipers. Although wood is the the easiest material to break, it is the fastest to build. It can provide quick cover as you crafts walls with better materials so better stock up. Have two slots saved for shields/health items and the other two for weapons. The last one can either be for grenades or port-a-fort as they can turn the battle to your favor. Mid-range weapons like assault rifles and submachine guns are practical for their balanced range, weapon damage, and ease of use. Having at least one can help you in intense gunfights. 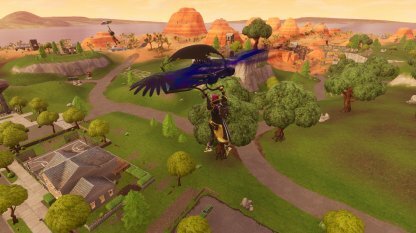 Duos and Squad Battle Royale is very different from Solo. Know how to play as a team and you'll easily get to the Top 10. Know your strengths and work together. 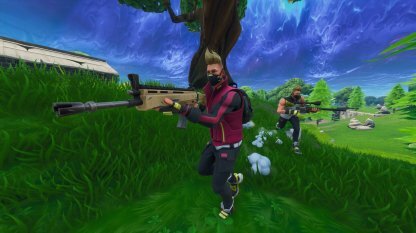 One teammate can build cover while the other shoots or help pressure enemies from a distance while the other rushes in. 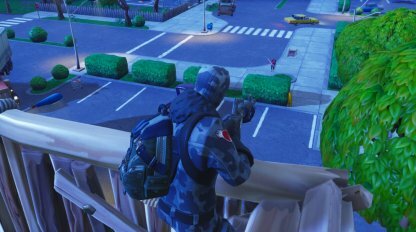 Use your Fortnite team chat or other voice chat channels to give callouts and talk to each other. 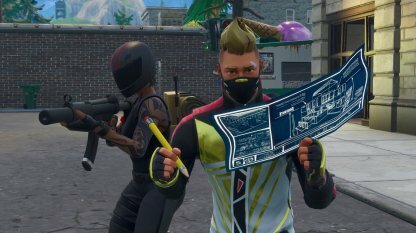 Notify your team of any enemies, loot, strategies, and your location. Share loot with your teammates. Keeping all the good guns to yourself will weaken your team. 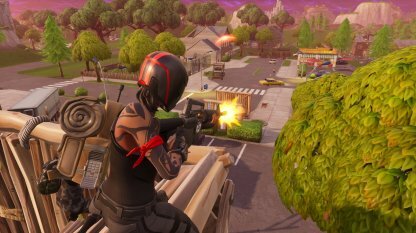 A good balance is to have each have good gun and different items like traps and Port-a-Fort for use. Remember that when in a team, your enemies are on a team as well. Work together to ensure that your team comes up on top during battles. Focusing on one enemy at a time is more strategic as bringing down one of them is better than having them all at low health. Remember: A knocked out enemy can't shoot. 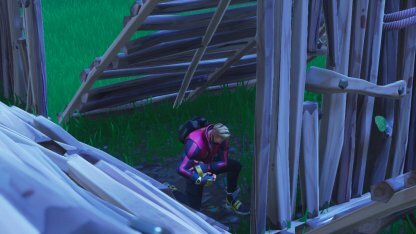 Trap enemies in walls to keep their teammates from reviving them. Keep pressuring the rest of their team so they have no chance of breaking down the walls. 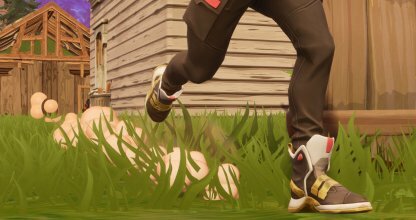 Make sure you have cover in place or the enemies have been dealt with before attempting to revive your teammate. 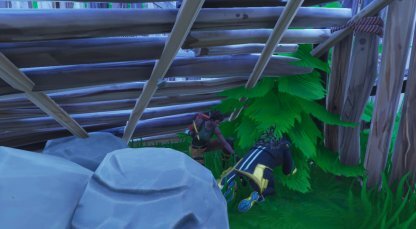 It takes a few seconds to revive someone so you'll be vulnerable as you do so.